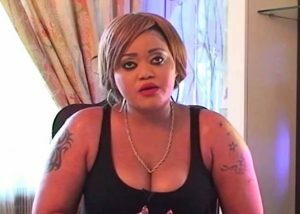 Police in Kinondoni Manyanya area in Dar es Salaam last Thursday night thwarted attempts by veteran Tanzanian pop music singer Rehema Chalamila, popularly known as Ray C, to commit suicide. The Tanzanian police rescued her at Kinondoni Manyanya popularly known as ‘Kinondoni kwa Mpemba’ in Dar Es Salaam after she was spotted screaming in the middle of the road. Ray C who was seriously high on drugs is seen screaming out for help in a video making rounds on social media. It is evident that she was not in her right mind as she passionately begged the police to give her a knife in her desire to take her own life. Ray C attracted public attention when she screamed at the top of her voice in the middle of the road that kidnappers wanted to capture her. Ray C reportedly arrived at Kinondoni Manyanya on foot, while panting; and requested to be “protected from (invisible) kidnappers who were trailing her”. The singer later asked to be given a knife so that she could take her own life. One of the witnesses, Esha Buheti – who is a film actress in Tanzania –, said Ray C’s claims were all illusions and nobody was running after her. “I thought all through people were making false claims about Ray C sliding back into drug use. However, what I witnessed today broke my heart. We should do something urgently to help Ray C,” said Esha on Instagram. “I had gone to buy chips at a fast food joint in Kinondoni when I heard someone say that Ray C threatened to strip. I thought it was a joke until I saw Ray C screaming, asking people to rescue her from being kidnapped. She was very strong. When people held her, she started mumbling. She slipped the grip and started looking for a knife to commit suicide. “People held her, and when she realised she couldn’t get the knife, she lowered herself to a muddy ground and started rolling around. She was yelling at the time. Tears rolled down my cheeks. “As that happened, police in a patrol car came and picked Ray C up. She screamed yet again, this time loudest. I don’t know where she was taken to. But Ray C appeared to have gone bonkers,” said Ms Buheti. The film actress after chronologically outlining the events that unfolded at Kinondoni, she shared a video of the happening on Instagram and said: “Ray C does not deserve to be in such a situation. What has gone over her? “Is this the Ray C who once upon a time was the pride of Tanzania? Please let us help her, we shouldn’t judge her,” said Ms Buheti in a post which she tagged radio personality Diva, rapper Mwana FA, singer Linex, showbiz personality Millard Ayo among other public figures. 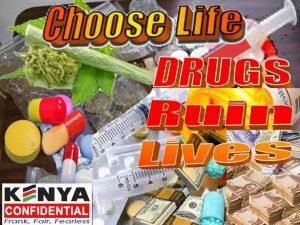 Ray C has been fighting drug addiction since 2012; and it has been a battle which she loses along the way, and gets back on track – and the cycle continues. In however much she has vehemently refuted claims that she has slid back into drug use, the Mama Nitilie star in several instances in the past, was allegedly spotted at drug dens; and in some occasions she blacked out as a result of drug abuse.